In our second part of the HK100 pre-race interviews, Lloyd Belcher and Andre Blumberg met up with Olya Korzh and also connected with two experienced trail runners from Team Vibram Europe, namely Nicola Bassi and Sebastien Nain. Vibram as the title sponsor for the HK100 has every year brought their regional Asia-Pacific based athletes to participate in the race. This year however, Vibram is going a step further and flying in two experienced Euro hot shots who are expected to stir up the field at the pointy end. We connected with Nicola Bassi from Italy and Sebastien Nain from France to get their perspective on racing in Asia. 1. What is your running background? 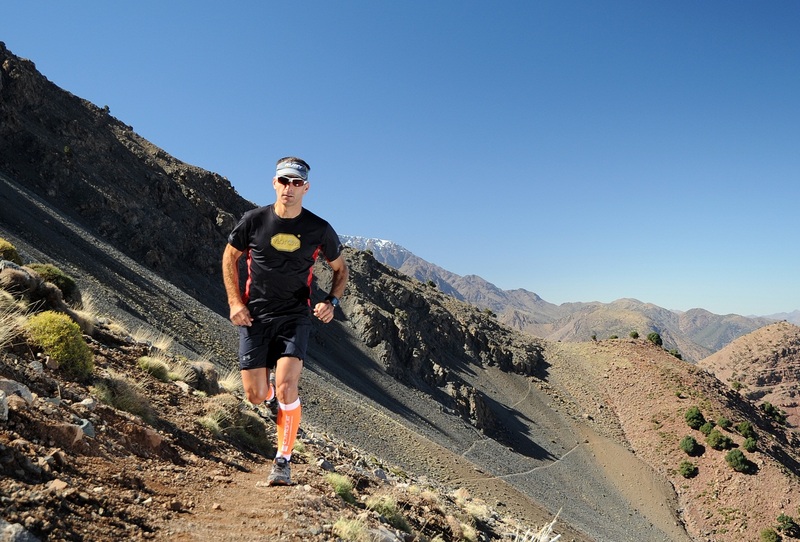 When did you start with ultra trail running and what are some of your recent race achievements? Plus there are numerous other victories and podiums on trails, check out more on my blog at www.sebastiennain.org. 2. How do you prepare for a race in Asia where you are not so familiar with the course, elevation profile, climate? Do you expect differences compared to racing in Europe where the sport is a bit more established, especially in France, Italy and Spain? (NB): Surely there will be many differences, but I think the training for an ultra trail race is based on overcoming difficulties and new problems and I always focus on this, irrespective of course, elevation profile and climate. (SB): I do not know Asia yet. This is why when I was offered through my sponsor Vibram to race the HK100, I did not hesitate for one second. For me the trail is a journey and an adventure even if competition is present. I think the race will be very fast despite an elevation gain of 4,500m. The course looks hard on the body, especially with the road and stair sections. The climate should suit me well; I saw that the temperatures range from 15 to 18 degrees Celsius. My preparation consisted of biking, strength training (plyometrics) and speed sessions twice per week. We’ll find out if this was the right approach on race day. 3. What is your expectation for the Vibram HK100 race? Who do you think will be your key competitors? (NB): I always expect to do my best, in every race. Even if I don’t arrive among the podium, I consider it a good result if the participants are many and highly competitive. I don’t know the majority of the participants at the 2013 Vibram HK100, but I think Sebastien, my team mate, will give me a hard time. (SB): I hope to give a Top 5 placing to Jerome Bernard, the Vibram team manager, and to Vibram Italy, but we will see. I do not know my opponents, and the race is 100km long, I know that Asians love to run and they run very well. So we’ll see! 4. For anyone just starting new in ultra trail running, what are the top 3 tips you would give them to perform better and enjoy the sport more? (NB): Prepare for overcoming difficulties of every kind, in every moment. During every race everybody has hard moments, when they think they can never do it. In these moments you will have to focus on the reasons that have brought you there. Great results demand great sacrifices. You have to be sure you have enough motivation to go as far as needed. (SB): My advise consists of three basics: The first and most important is – be patient! Patience is important both for your body and for your mind. Secondly, maintain the pleasure and have fun. Pleasure in training, as well as putting on a bib. Choose races that attract you personally and don’t follow the trends of others who will race each year since it is hyped up by the media. Make your own conscious choice of race course and make it your race – and then there is happiness! Thirdly, listen. If I’m tired but the coach asks me to train, I need to listen to my body and rest. Listen during the race, feel the sensations. Listen to the season with a good choice of suitable races throughout the year. 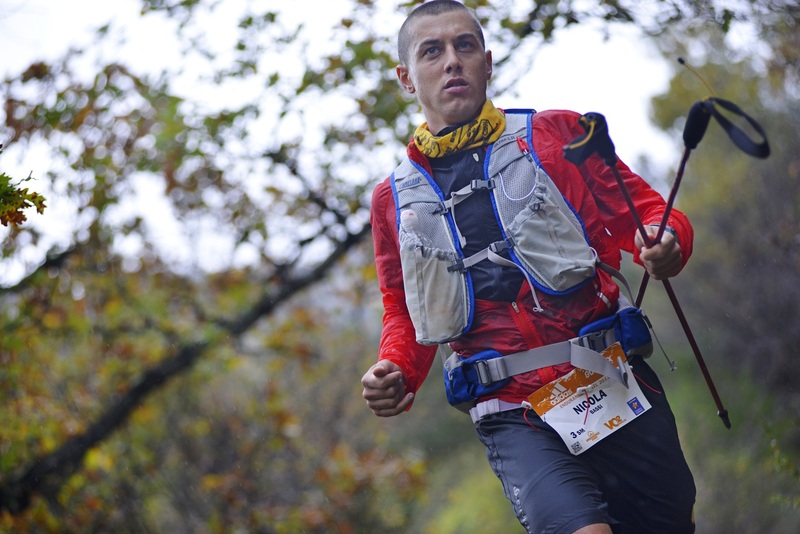 Well, above all keep in mind that ultra trail running is a sport, a hobby and it should remain fun in our lives. 5. What other races are on your plans for 2013? Anything in Asia or the Americas? (NB): Unfortunately the cost of these races is very high and that limits my possibilities. Team Vibram is evaluating some races, but I don’t have a fixed program yet. Thanks Nicolai and Sebastien and we look forward to welcome you to Hong Kong and hope you will have an awesome HK100 experience. In our upcoming third part of the HK100 pre-race coverage we will feature a video interview with Hong Kong based Salomon sponsored athlete Jeremy Ritcey and provide you some insights into two of China’s top trail runners, namely Xing Ruling and Yun YanQiao, who are expected to place well in the women’s and men’s Top 10 fields respectively.